That's what I'll be doing for the latest Holla Knits KAL. I have big plans for this one because I've been hoarding yarn for several of these patterns and it's time I went from being Weird Yarn Lady to being Weird Sweater Lady. 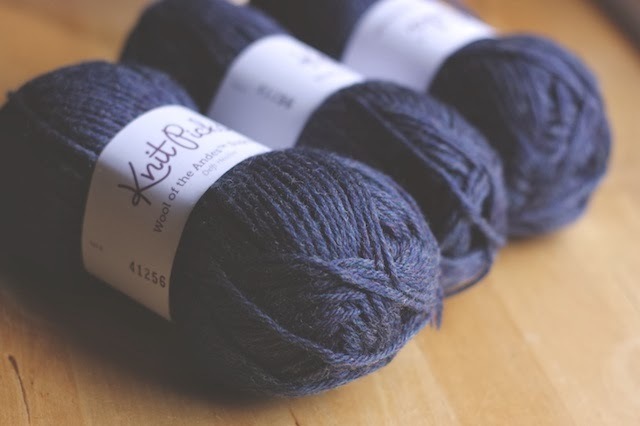 I'd like to knit everything from HK in my queue that I already have yarn for. But that's not very practical since I will need to sleep and occasionally interact with my family, so I'm focusing on 3 garments and 1 accessory. 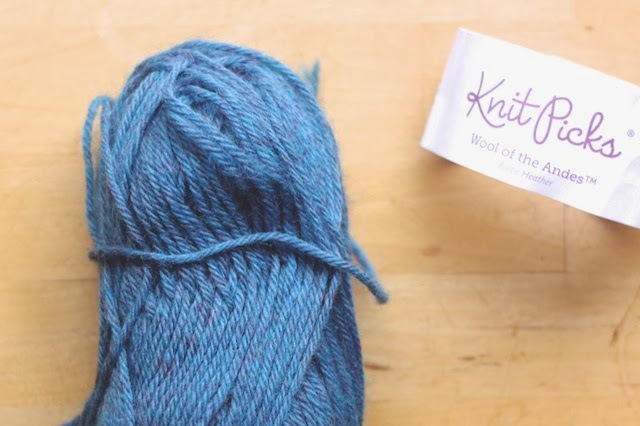 First up, I'll finally be using that precious skein from Dirty Water Dyeworks that I won last year to knit the Eastwood Cardigan. 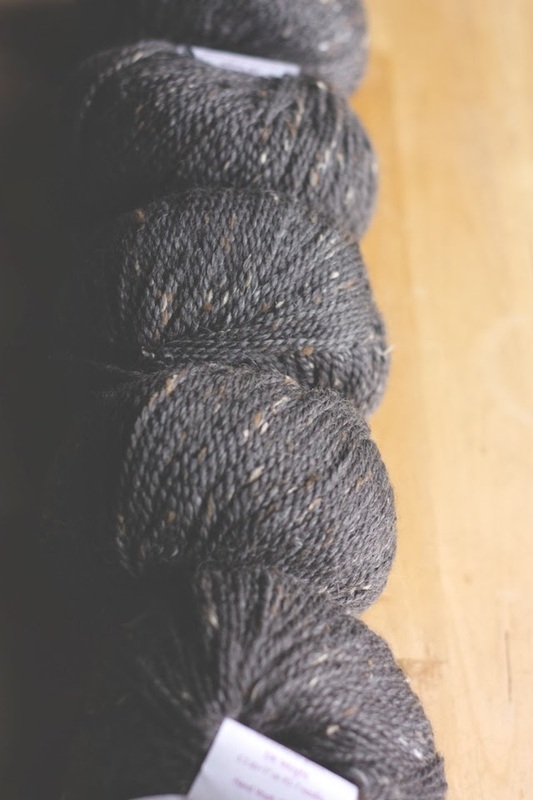 I'm using Knit Picks Wool of the Andes Tweed in Flagstone Heather as my main color, so this is a very affordable hand knit. 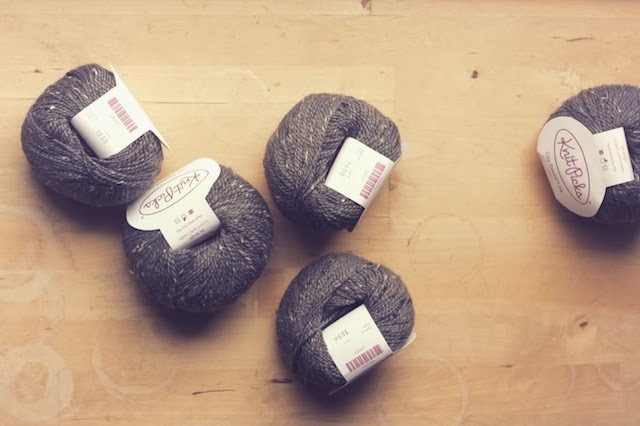 I tend to think "all or nothing" when I am ordering yarn. I rarely mix and match less expensive yarns with hand dyed skeins. 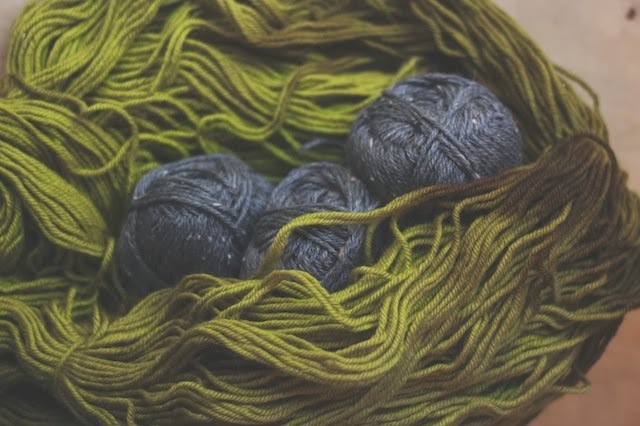 Using hand dyed yarn for a complimentary color is a good way to make my finished sweater special, even if I'm on a budget. After this, I'd like to work on the Everett Henley. It looks like a challenging design, so I'm thinking I'll benefit from the experience of the other knitters who will have already started theirs at this point in the KAL. I'm using Wool of the Andes Superwash in Delft Heather. I wanted a more dramatic color than my usual green and grey (see above and further below) and I think this deeper blue will be perfect. I have a feeling Sexxxy Librarian will knit up very quickly. It's been in my queue the longest so I definitely want it completed. (It's also on sale this week!) I'm using Knit Picks City Tweed in Orca for this one. I love City Tweed. It was my favorite Knit Picks yarn until I saw the WotA Tweed I'm using for the Eastwood Cardigan. Now, I'm not sure. I won't have many days left in which to wear alpaca, so I need this off the needles asap. Now, if I'm really trucking and these three sweaters fly off of the needles, I want to cast on one warm weather garment. I may not finish it, but once a knit is on the needles, I usually don't wait too long to get it off. I'm using Cascade 220 Sport for the Julep Jacket in the Lake Chelan color way. There's that greenish-blue again. This may get the most year round wear of all because it's good for spring-like weather and cold interiors during the summer. I'm pretty excited about working that little stitch pattern. I added the County Fair Scarf to my list because several knitters have said it's a one day knit, so how can I not? I loved the colors of the sample. They made me think of spring picnics and checked table cloths, so I chose a similar Comfy Worsted combo in Whisker, Planetarium, and Rosehip. Now, I realize I'm getting a little fantastical with my KAL plans here, but I do have the yarn for Unbroken in Wool of the Andes Baltic Heather. I can't imagine getting to this in a three month period, but I think once my queue starts moving, I'll have momentum to keep it flowing. So are you mentally checking your stash to see if you have 3 small coordinating skeins of worsted yarn for your own scarf? Or one for a hat? Or enough for a sleeveless turtleneck? Or drapey-front cardigan? It's not too late to rush order some, but with all of the accessories and summer- weight designs included, you're sure to have something lurking under the bed or in the back of the closet that you can use. 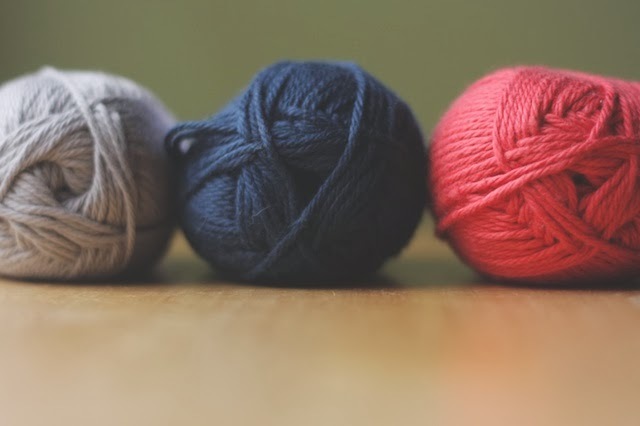 Why not join us in the Ravelry group and see all the patterns you have to choose from? Oh, and take a look at the prizes. Everyone wins something! It begins February 3 and lasts until May 2. Now, I need to finish some sleeves so I can start swatching for next week. Your Sexxxy Librarian will be off your needles before you realize it! it's a quick knit for sure! 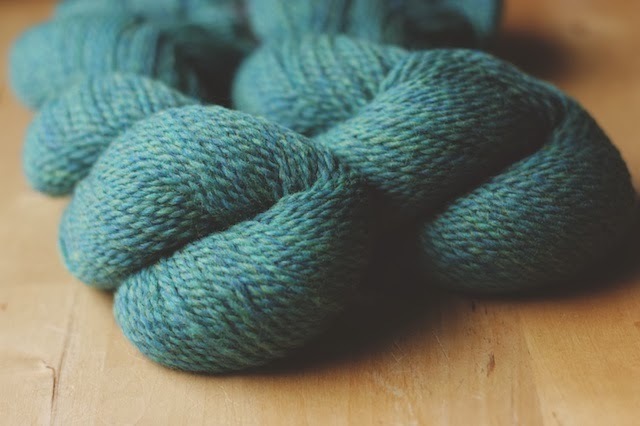 and I have to admit, I've been scrounging around my stash for a few skeins for a couple unbrokens, I feel them calling to me. Tidying up the queue every once in awhile is a great thing to do! I used to have 9-10 pages of things, but one day it was driving me so nuts that I got it down to 3-4 pages AND linked stash yarn to every project (some mentally). It felt great! I can't wait to see your Eastwood! 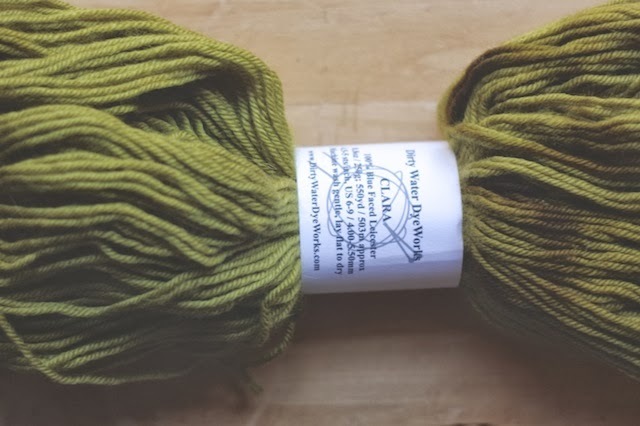 That green is amazing and I'm interested to see how it plays with the Knit Picks yarn. I've used WOTA Tweed before and really enjoyed working with it. Someone is about to get her knit on :) Can't wait to see what you crank out. Swatching for the Everwood right now, so excited to start this! Is it Feb 3 yet? This is going to be a fun knit along, I can't wait to see (and boggle at) what you get finished. BTW, I can't believe how soft the WOTA Tweed is. I thought it'd be line normal WOTA (aka, kinda scratchy), but it's so silky! I can't wait to make it. I don't think I have one cowl/ turtleneck sweater in my possession. Also, it will be all tweedy and grey and alpaca. Need I say more? I want to see your Jilted! 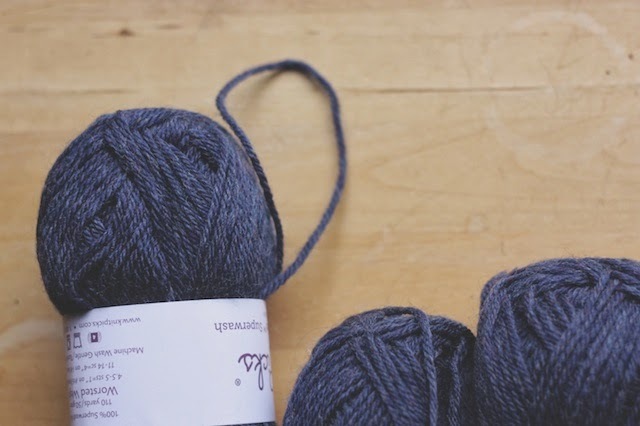 I always linger over the Capra page on knitpicks but I click away thinking "maybe someday." It's going to be so nice! I'm way over-planning for this KAL, but that's the way I get myself motivated. Maybe I'll finish some of it after it's over, too. That's good to hear about WotA tweed, Ashley! I only have 3 pages of queue, with yarn for 1.5. That's not so bad. I really want the yarn boxes back under control, though, and am hoping this KAL will restore balance to the bedroom. Ha! It's true, though. I really do feel an engine revving on the inside over a knitalong. My son finds me so corny. Oh, yay! Tweed and soft!? I finished Antrorse tonight and have to do a few quick fixes on another FO and I'm hoping I'll swatch for Eastwood Saturday. I'm excited too and so glad you'll be knitting along with me, Heather! I love all the yarn you chose for these knits! Looking forward to seeing them come along. I bet you can get them all done!